In 2006, Morgan Stanley purchased 20 acres (8.1 ha) directly north of the Showboat Atlantic City Hotel and Casino for a new $2 billion plus casino resort. Revel Entertainment Group was named as the project's developer for the Revel Casino. Revel was hindered with many problems, the biggest setback occurring in April 2010 when Morgan Stanley, the owner of 90% of Revel Entertainment Group, decided to discontinue funding for continued construction and put its stake in Revel up for sale. 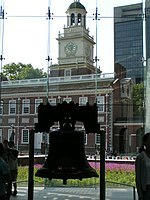 Early in 2010 the New Jersey state legislature passed a bill offering tax incentives to attract new investors and complete the job, but a poll by Fairleigh Dickinson University's PublicMind released in March 2010 showed that 60% of voters opposed the legislation, and two of three of those who opposed it "strongly" opposed it. Ultimately, Governor Chris Christie offered Revel $261 million in state tax credits to assist the casino once it opened. As of March 2011, Revel had completed all of the exterior work and had continued work on the interior after finally receiving the funding necessary to complete construction. It had a soft opening in April 2012, and was fully open by May 2012. Ten months later, in February 2013, after serious losses and a write-down in the value of the resort from $2.4 billion to $450 million, Revel filed for Chapter 11 bankruptcy. It was restructured but still could not carry on and re-entered bankruptcy on June 19, 2014. It was put up for sale, however as no suitable bids were received the resort closed its doors on September 2, 2014. The property was bought by AC Ocean Walk, LLC for $200 million in 2017, and reopened in 2018. As of 2018, the Mayor is Frank Gilliam. Members of the City Council are Council President Marty Small Sr. (2nd Ward, 2019), Chuen "Jimmy" Cheng (5th Ward, 2019), Moisse "Mo" Delgado (At-Large, 2017), Frank M. Gilliam Jr. (At-Large, 2017), Jesse O. Kurtz (6th Ward, 2019), William "Speedy" Marsh (4th Ward, 2019), Aaron "Sporty" Randolph (1st Ward, 2019), Kaleem Shabazz (3rd Ward, 2019) and George Tibbitt (At-Large, 2017). Atlantic County is governed by a directly elected county executive and a nine-member Board of Chosen Freeholders, responsible for legislation. The executive serves a four-year term and the freeholders are elected to staggered three-year terms, of which four are elected from the county on an at-large basis and five of the freeholders represent equally populated districts. As of 2018, Atlantic County's Executive is Republican Dennis Levinson, whose term of office ends December 31, 2019. Members of the Board of Chosen Freeholders are Chairman Frank D. Formica, Freeholder At-Large (R, 2018, Margate City) Vice Chairwoman Maureen Kern, Freeholder District 2, including Atlantic City (part), Egg Harbor Township (part), Linwood, Longport, Margate City, Northfield, Somers Point and Ventnor City (R, 2018, Somers Point), Ashley R. Bennett, Freeholder District 3, including Egg Harbor Township (part) and Hamilton Township (part) (D, 2020, Egg Harbor Township), James A. Bertino, Freeholder District 5, including Buena, Buena Vista Township, Corbin City, Egg Harbor City, Estell Manor, Folsom, Hamilton Township (part), Hammonton, Mullica Township and Weymouth Township (R, 2018, Hammonton), Ernest D. Coursey, Freeholder District 1, including Atlantic City (part), Egg Harbor Township (part) and Pleasantville (D, 2019, Atlantic City), Richard R. Dase, Freeholder District 4, including Absecon, Brigantine, Galloway Township and Port Republic (R, 2019, Galloway Township), Caren L. Fitzpatrick, Freeholder At-Large (D, 2020, Linwood), Amy L. Gatto, Freeholder At-Large (R, 2019, Mays Landing in Hamilton Township) and John W. Risley, Freeholder At-Large (R, 2020, Egg Harbor Township) Atlantic County's constitutional officers are County Clerk Edward P. McGettigan (D, 2021; Linwood),  Sheriff Eric Scheffler (D, 2021, Northfield) and Surrogate James Curcio (D, 2020, Hammonton). As of May 2010, the city had a total of 103.67 miles (166.84 km) of roadways, of which 88.26 miles (142.04 km) were maintained by the municipality, 1.29 miles (2.08 km) by Atlantic County, 5.32 miles (8.56 km) by the New Jersey Department of Transportation and 8.80 miles (14.16 km) by the South Jersey Transportation Authority. ^ 2017 Municipal User Friendly Budget, City of Atlantic City. Accessed May 18, 2017. ^ "30 Years of Casino Gaming", The Press of Atlantic City, May 25, 2008. Accessed June 7, 2008. 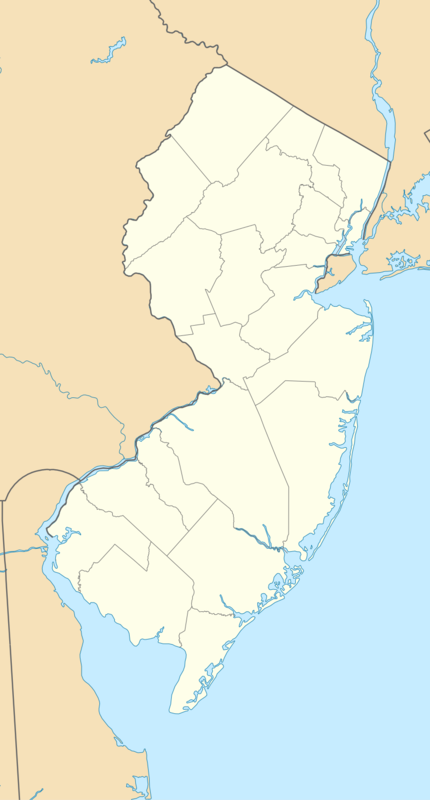 Atlantic City, New Jersey was incorporated on May 1, 1854. It is governed within the Faulkner Act (formally known as the Optional Municipal Charter Law) under the Mayor-Council system of municipal government (Plan D), implemented by direct petition effective as of July 1, 1982. The City Council is the governing body of Atlantic City. There are nine Council members, who are elected to serve for a term of four years, one from each of six wards and three serving at-large. The City Council exercises the legislative power of the municipality for the purpose of holding Council meetings to introduce ordinances and resolutions to regulate City government. In addition, Council members review budgets submitted by the Mayor; provide for an annual audit of the City's accounts and financial transactions; organize standing committees and hold public hearings to address important issues which impact Atlantic City. Former Mayor Bob Levy created the Atlantic City Ethics Board in 2007, but the Board was dissolved two years later by vote of the Atlantic City Council. Since its incorporation in 1854, the town has had 40 mayors. Miss America 1942, the 16th Miss America pageant, was held at the Warner Theater in Atlantic City, New Jersey on September 12, 1942. Miss Texas, Jo-Carroll Dennison won the title after winning the swimsuit and talent categories. She was the first Miss Texas to win the Miss America title.Dennison became an actress and had roles in films such as Winged Victory. She was married at one time to comedian Phil Silvers. Miss America 1966, the 39th Miss America pageant, was held at the Boardwalk Hall in Atlantic City, New Jersey on September 11, 1965 on CBS Network. Deborah Bryant became the first Miss Kansas to win the crown. The judges for this year's pageant included actress Joan Crawford. Miss America 1975, the 48th Miss America, pageant, was held at the Boardwalk Hall in Atlantic City, New Jersey on September 7, 1974 and broadcast on NBC.The winner, Shirley Cothran, was a graduate of Denton High School in Texas, the same school attended by the Miss America of four years before, Phyllis George. Among the other contestants in the 1975 pageant was Miss Florida, actress Delta Burke. Miss America 1987, the 60th Miss America pageant, was held at the Boardwalk Hall in Atlantic City, New Jersey on September 13, 1986 on NBC Network. Although an entry representing the city of Memphis had been victorious in the pageant of 1947, Kellye Cash became the first woman with the title Miss Tennessee to win the crown. She is a great-niece of the singer Johnny Cash. Miss America 1998, the 71st Miss America pageant, was held at the Boardwalk Hall in Atlantic City, New Jersey on Saturday, September 13, 1997 and was televised by the ABC Network. ABC replaced NBC as the pageant's television home. UFC 50: The War of '04 was a mixed martial arts event held by the Ultimate Fighting Championship on October 22, 2004, at the Trump Plaza in Atlantic City, New Jersey. The event was broadcast live on pay-per-view in the United States, and later released on DVD. UFC 53: Heavy Hitters was a mixed martial arts event held by the Ultimate Fighting Championship on June 4, 2005, at the Boardwalk Hall in Atlantic City, New Jersey. The event was broadcast live on pay-per-view in the United States, and later released on DVD. WFPG (96.9 FM) is an adult contemporary music radio station based in Atlantic City, New Jersey. Its transmitter is located in Atlantic City, while studios are in Northfield, New Jersey. WFPG has one of the most powerful FM signals in the state of New Jersey, reaching at least 11 counties in South and Central New Jersey. plus parts of eastern Pennsylvania and most of Delaware. WFPG's primary coverage area includes all of New Jersey south of I-195 and can be heard as far north as the Basking Ridge area in Somerset County NJ. WFPG is referenced in Steel Pier musical as the station broadcasting the play's dance marathon event.